Constantia villas are prestigious, expansive and commanding, set on luxurious wine farm grounds and surrounded by classic vineyards. Your country-style holiday villa is waiting for you. Golden sunlight over open fields of vine, the lingering scent of earth and fruit in the air – and Dutch colonial architecture that transports you into an ethereal world. The Constantia winelands are embedded in a valley below an imposing mountain presence. The Constantia villas that you will find there are so grand that they can be surreal, and you can rent them for yourself. 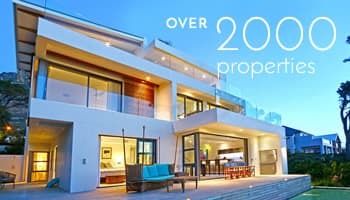 Take a closer look at the many properties that will make your Constantia holiday the best thing you did this year, by browsing our selection below. Just a few minutes from the Cape Town CBD is the Constantia wine route, considered the oldest and best route a wine-lover can experience anywhere in the world. Enjoy touring wine homesteads that are hundreds of years old, and discovering boutique wineries with rare blends of wine. 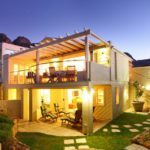 In this incredible valley you will find luxury Constantia villas that private wine merchants and business people have given us to manage and rent to holidaymakers like you. When you choose to stay in this famous wine region, you are able to embrace an age-old culture, while drinking in the many other attractions Cape Town offers its guests. Renting a Constantia vacation home is not your average experience. In fact, these sprawling countryside estates are often set on extensive grounds, with manor homes that can house large families and staff. These Constantia villas were made for large groups and kids that love to roam and adventure in a controlled space. The villas themselves are the epitome of old-world luxury on the outside, yet are finely decorated with modern finishes inside. Stay in an air-conditioned villa during the day that comes complete with a staff complement, or as a self-catering home. Why Stay in a Constantia Vacation Villa? There are lots of great reasons to choose the Constantia area as your holiday spot. These countryside villas are perfect for outdoor activities like cycling, hiking, long walks, quad biking and horse riding. Because the estate you are on will be so vast, you may not even have to leave your immediate area to enjoy these activities. Villas like these are superb for business retreats, team-building holidays and larger group stays. They are also great for big families, or as unique locations for film & television crews. With these luxurious Constantia villas you will find a sense of peace and restoration that you just don’t get in the city or on the beach. Bring your family, friends or business colleagues!